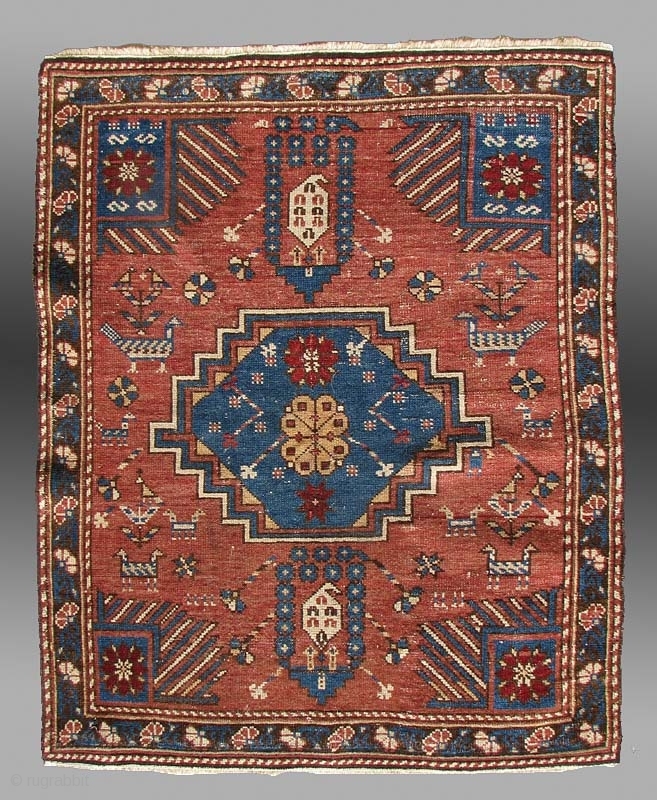 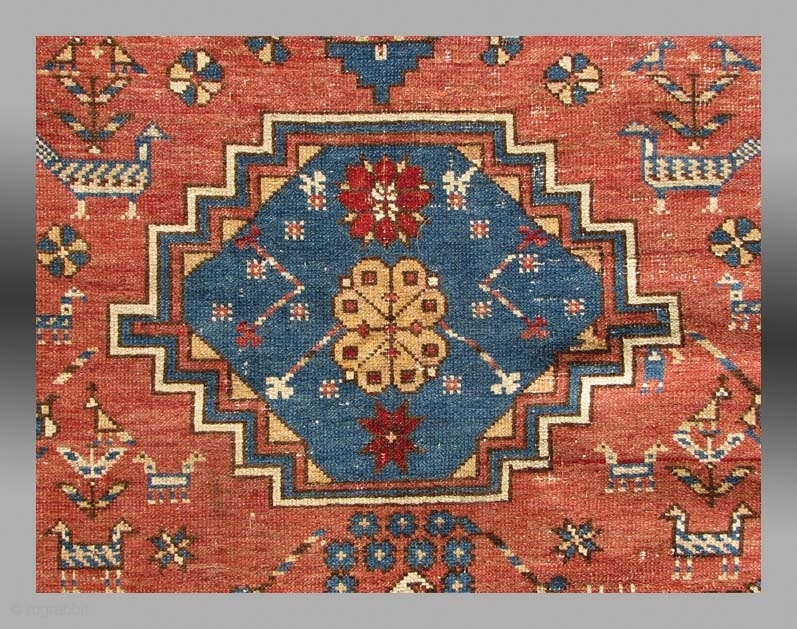 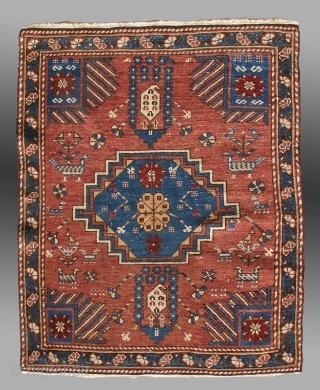 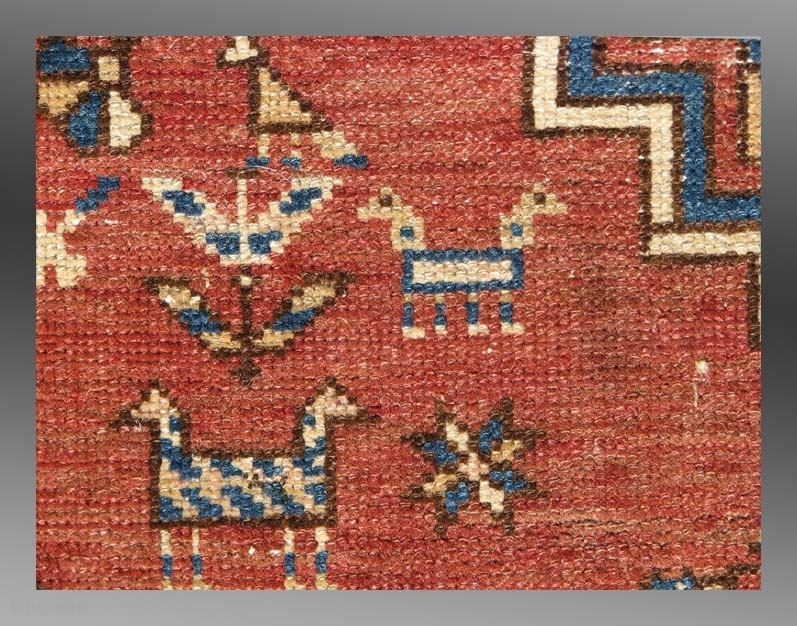 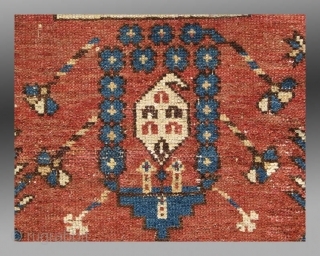 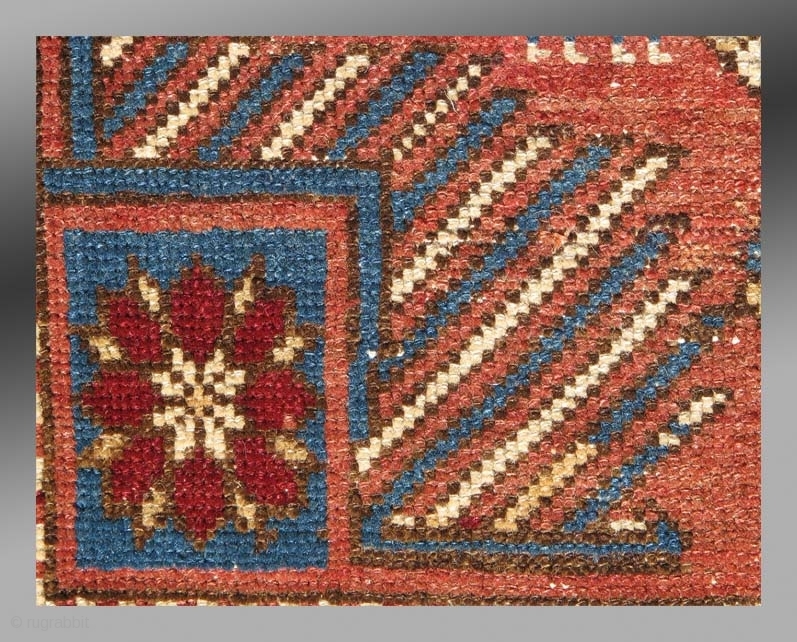 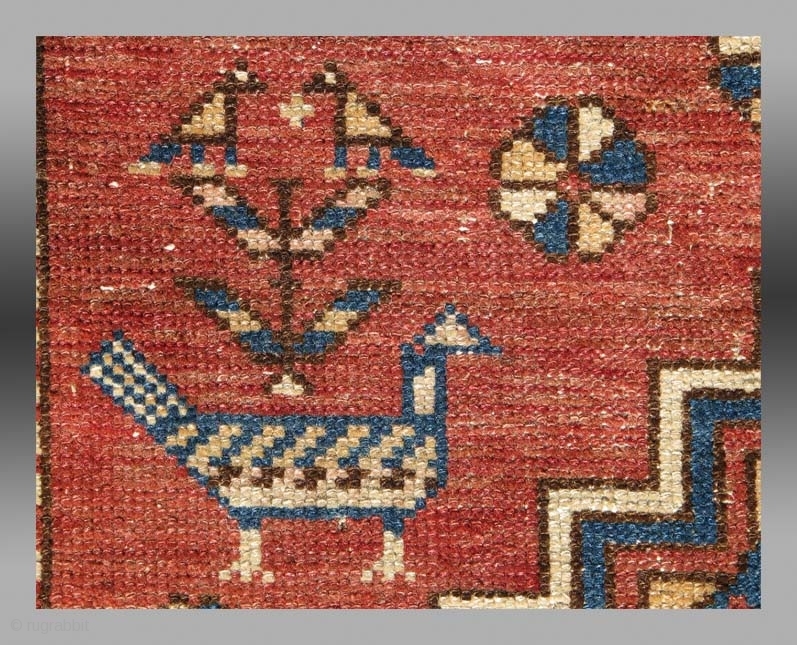 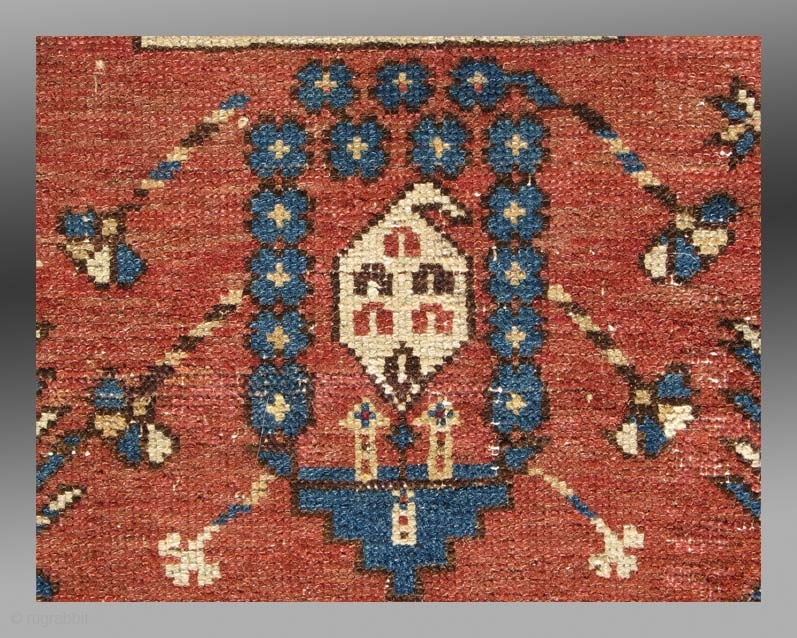 Shirvan Rug, Caucasus Mtns., late 19th century, approx 2'9" x 3'8"
A cute little rug from the Shirvan area. 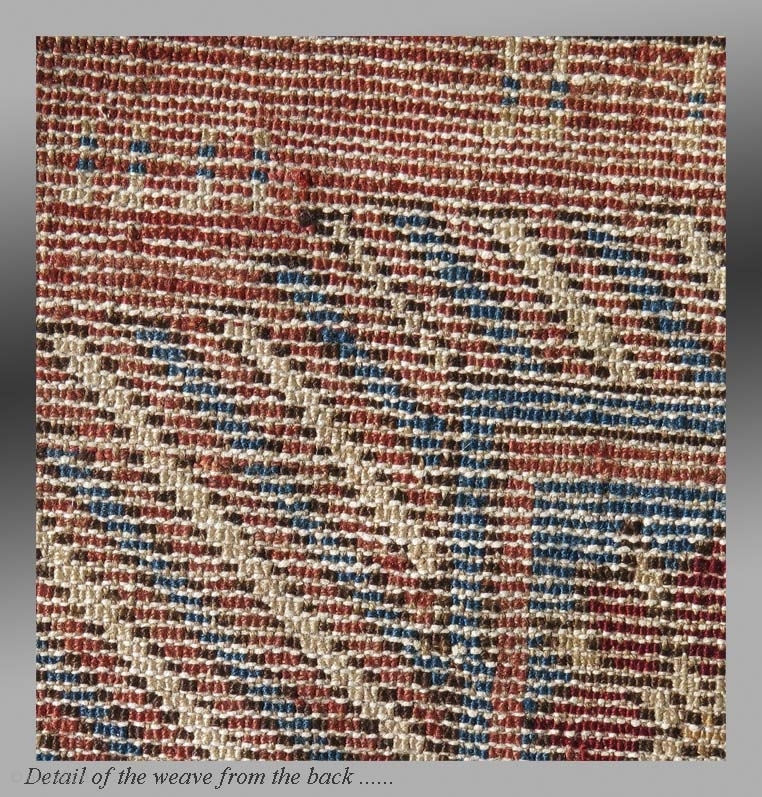 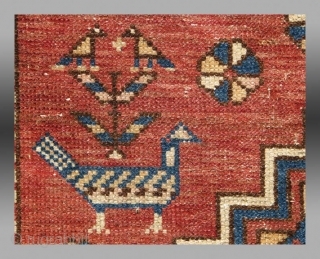 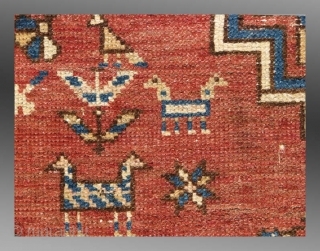 The small size and different arrangements of ornaments suggests this may have been woven for personal use in the home rather than the product of a workshop environment. 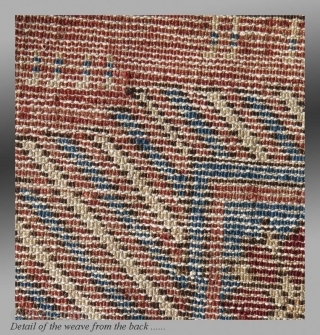 The colors are all derived from natural dyes, there are a few small repairs, virtually invisible even from the back.